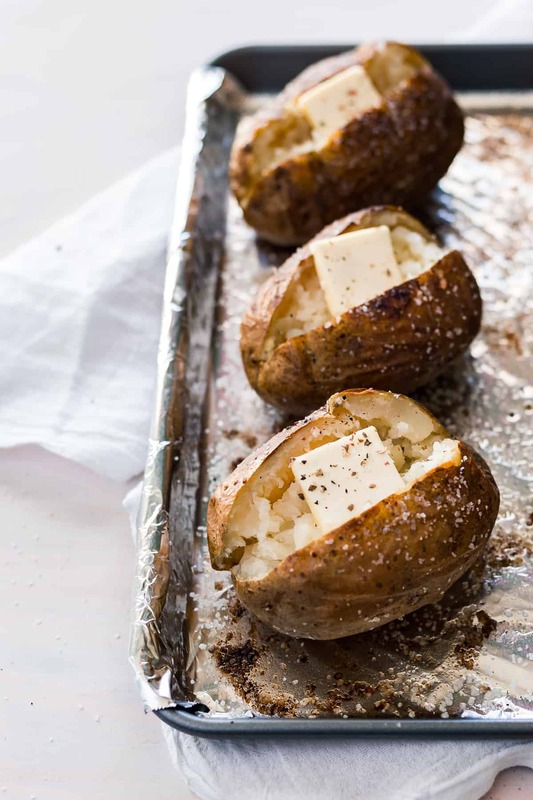 The perfect Steakhouse Baked Potato that is crispy on the outside and extra fluffy in the middle, made with only 3 simple ingredients and done in less than an hour! 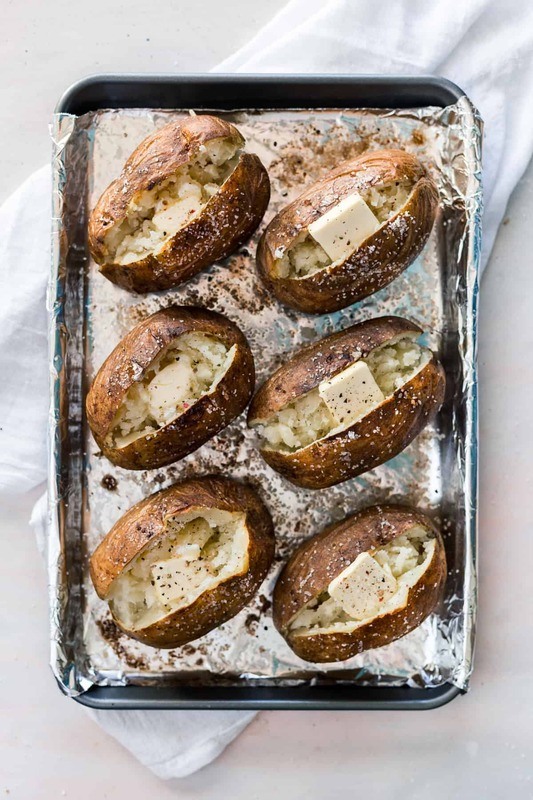 A baked potato might not seem like much from the outside, and everyone kind of knows how to make them (you toss them in the oven right?!). 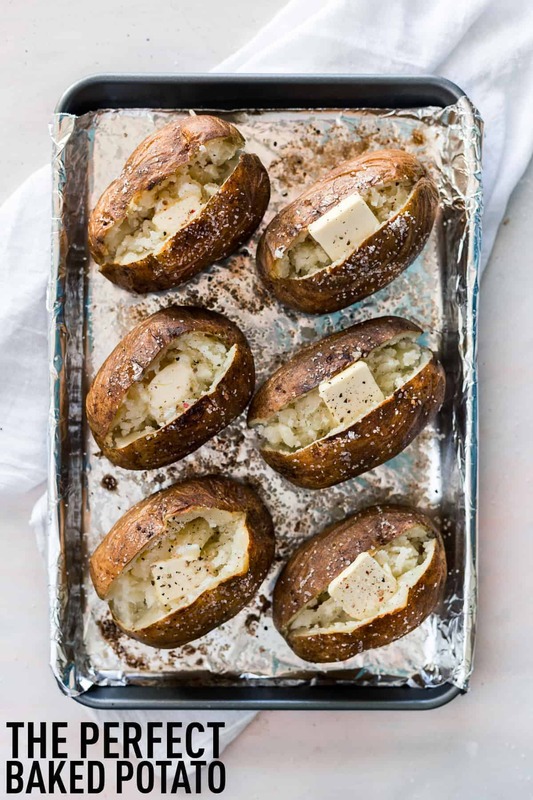 With a little knowledge and a few simple steps, though, you are going to be baking perfect steakhouse baked potatoes with little to no extra effort on your part. The end result is what is going to keep you coming back to this baked potato cooking method time and time again. These potatoes have a crispy, salty crust and the middles are extra light and fluffy. 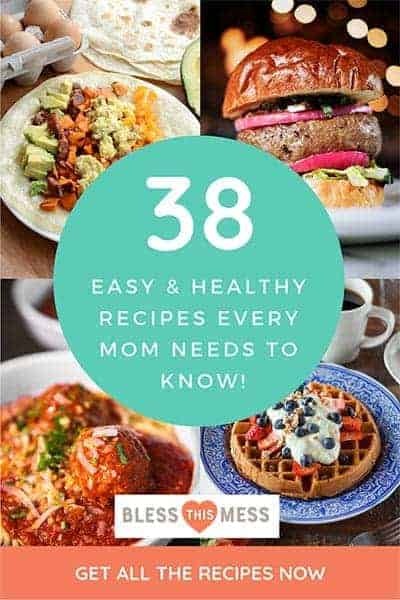 They are the perfect side to just about any meal or they can be served alone topped with veggies or chili for a simple main dish the whole family will love. 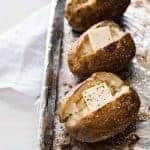 There are a few common questions when it comes to making baked potatoes, so I thought I’d answer them right off the bat. What type of potatoes are best for baking? Russets are generally considered the best potato for baking because of their high starch content which lends to that dry and fluffy texture we are looking for. Why do you skip the foil? It traps in the heat and you essentially steam the potato instead of roasting it. The roasted skin is SO good. Plus I’m not so sure about the aluminum in the foil so I like to avoid it when I can. 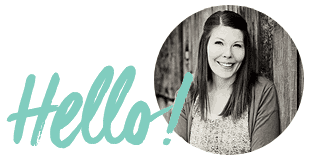 Crispy skin, fluffy middle – you don’t need that foil, friends! The size of the potato determines how long it takes to cook. Small to medium potatoes are generally the ones that come in a 10-20 pound bag. A small to medium potato will weigh between 5 and 8 ounces and will be a little longer than the palm of your hand. Large baking potatoes, often sold individually or marked as “baking potatoes,” will generally weigh 8-12 ounces and will be the size of your whole hand, palm to fingertip. The large baking potatoes might take up to an extra half hour cooking time. Consistency matters when it comes to baking multiple potatoes at once. Big or small, it’s always best to find potatoes of a similar size to cook for your meal. That way, no matter the cooking method, they are all done at about the same time. If I have a mix of large and small potatoes, I’ll often cut my largest ones in half so that they are closer to the smaller ones in size. Feel free to use olive oil instead of butter in this recipe if you’d like. Heat oven to 450 degrees and line a baking sheet with aluminum foil. Using a fork, poke the potatoes multiple times on all sides, place on the baking sheet, and bake for 25 minutes, then remove from oven. 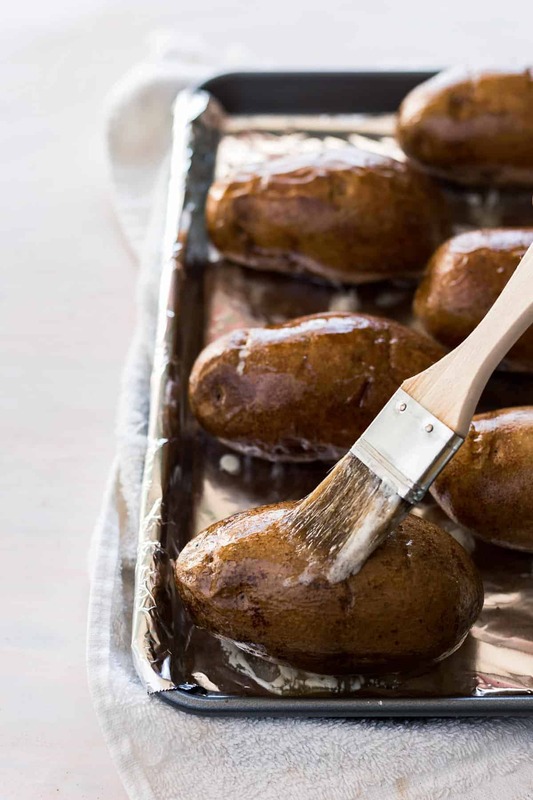 Using a pastry brush, brush the outside of the potatoes with the melted butter until they are completely coated on all sides. 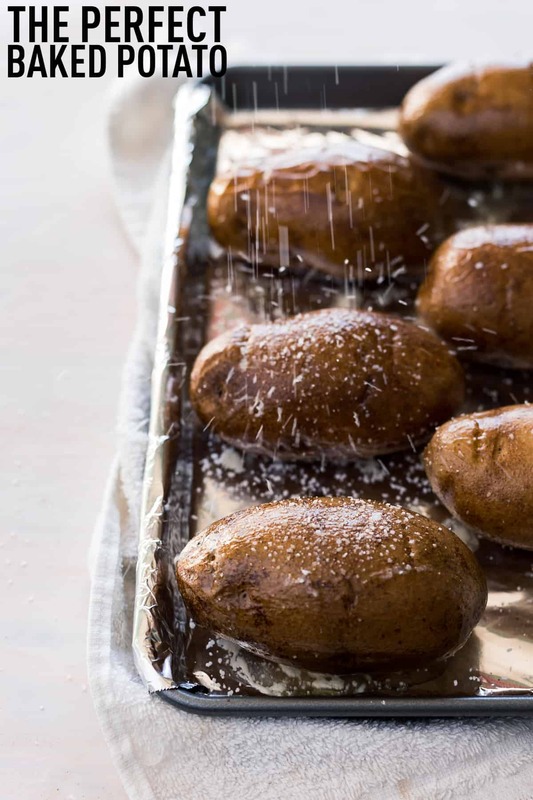 Sprinkle the potatoes with a generous amount of kosher salt, then place the potatoes back on the baking sheet upside down so they cook evenly on both sides. Return potatoes to the oven and cook for an additional 20 minutes. Check for doneness by squeezing the potato with an oven mitt or paper towels. If the insides are nice and soft and give under pressure, remove the potatoes from the oven. Otherwise, continue cooking in 5-minute increments until the potatoes are done. Looking for a vegan option for this dish? Just sub olive oil for the butter. I’m such a big fan of making baked potatoes at home, especially when they are this delicious. You can’t beat a potato topped with butter and salt and some fresh garden chives! Some recipes say not to put holes in the potato. But your recipe say to poke holes it. Some recipes say not to poke holes in the potato. This recipes says to poke with a fork .witch ones right. I tried it with both and found them to be really similar. Holes release some of the steam and moisture and no holes trap it inside. I think the holes and a little release of the moisture lends to a fluffier potato center in the middle which I prefer though both work and both are delicious.